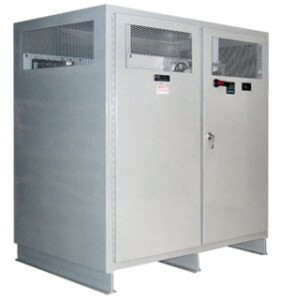 UST Power Conditioners and Voltage Regulators offer cutting-edge solutions to power-quality issues, including damaging electrical surges, sags, swells and brownouts. 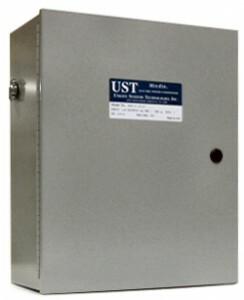 Utility Systems Technologies, Inc. (UST) is one of the world’s leading power-conditioning products design and manufacturing companies. 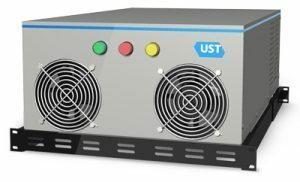 UST offers a full range of industrial-grade power conditioners and voltage regulators capable of mitigating all sags and surges within one cycle. Proven technology and advanced on board intelligence means full power during brownouts without a UPS or diesel generator, better equipment protection, fewer motor failures, more up-time and lower energy costs across a wide range of industries and applications. The Sure-Volt™ power conditioner provides continuous voltage regulation to correct both high voltage that can damage electronics, and low voltage that can cause malfunctions or premature motor failure. 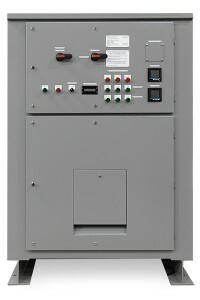 With a shielded, isolated output, surge suppression and input circuit breaker all standard, the SureVolt™ power conditioner offers the widest range of protection. With no batteries, in fact with no energy storage of any kind, UST SagFighterNXT smoothly and continuously regulates voltage to within +/-1% of nominal. The SagFighterNXT is the battery-free, SEMI-F47 compliant alternative to UPS systems for protecting critical processes in semiconductor manufacturing, automated production, computing, scientific and laboratory applications. The UST Mini-EVR power conditioner offers the same voltage regulation capabilities as the SureVolt power conditioner, but is optimized for small, single-phase applications. Used as a replacement for ferroresonant transformers in new or retrofit applications, the 99% efficient Mini-EVR power conditioner can save you thousands of dollars on your electric bill while providing superior protection.